This immaculate townhome has only had 1 owner since it was built and they have taken great care of it! Enjoy seclusion with no rear neighbors! This home faces North so you dont have to worry about the sun beaming through your bedroom windows in the morning. The large covered porch is great for enjoying the cool evening breezes. The kitchen is open, has a large island and overlooks the oversized living room and dining room. Ideal for entertaining! There is a full bedroom and full bathroom on the 1st floor. A rare find! Essential for those who dont like stairs, but love townhomes. There is durable tile flooring in all the wet and common areas. Perfect for high traffic! Both rooms upstairs have their own full bathrooms. Great for privacy! 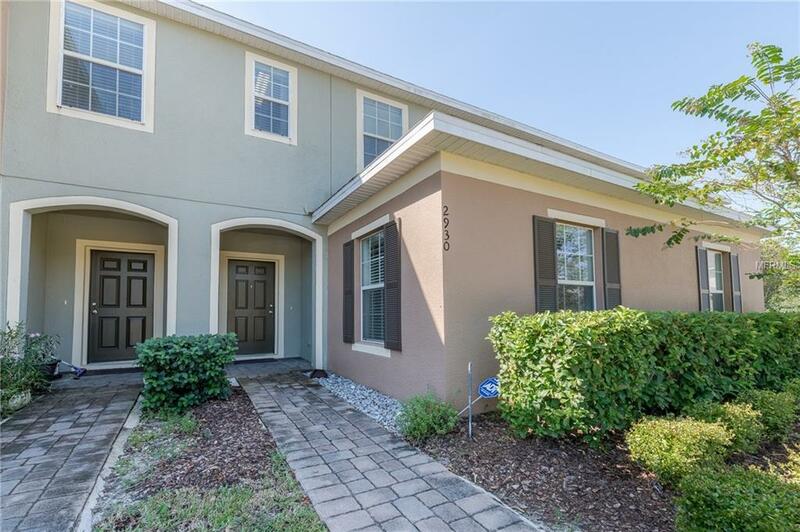 Enjoy the perks of townhome living and never have to worry about cutting your grass in the sweltering Central, FL heat again! Spend those hours at the community maintained pool just across from your building. There is also a playground for the little ones. Even better for the little ones, Disney World and many other Central, FL attractions are only 14 miles away! This home has it all. Bring your pickiest buyers, but hurry! In this market, this one wont last long!